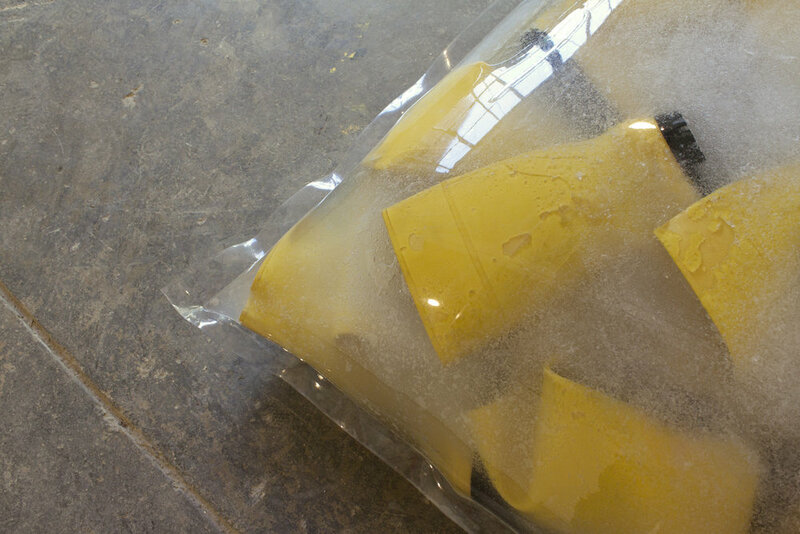 This project began when Helen Ip and I purchased 100 yellow rain boots from the Salvation Army. The boots are stuck in super absorbent polymer and contained in a 6’ by 6’ vinyl bag. The project was inspired by the window graphics of the Self Esteem Shop in Royal Oak, MI. It is about the seriousness and the silliness of feeling stuck.